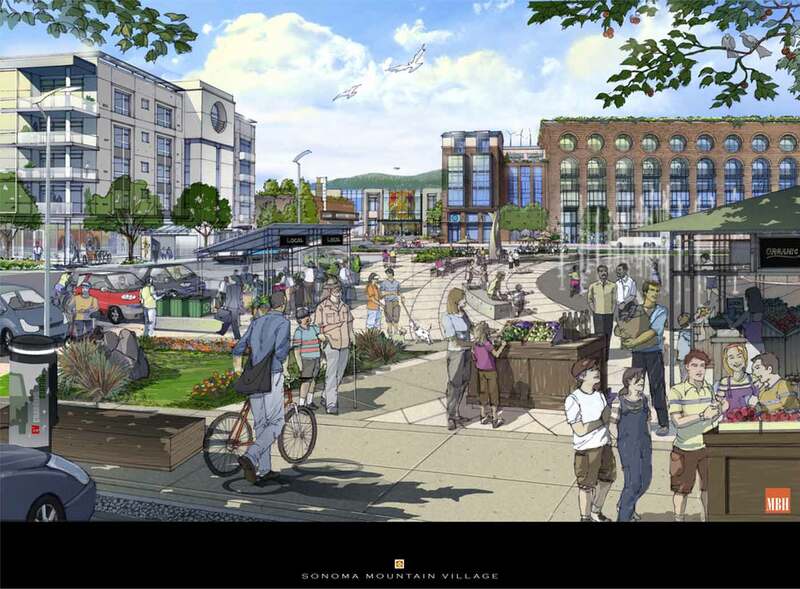 Sonoma Mountain Village is a 200-acre planned mixed-use community that combines existing and new commercial space with homes, fun amenities, rich culture and a sense of community. Built around high-performance buildings, convenience, comfort and a sense of place! As the first One Planet Community in North America, Sonoma Mountain Village is set to prove we can successfully work, live and play in partnership with people, the planet and prosperity. Located in one of the most beautiful places on earth – Southern Sonoma Wine Country, 40 miles north of San Francisco, and 1 mile from Sonoma State University and the state-of-the-art Green Music Center.